The Kingdom of Saudi Arabia is globally revered and celebrated for numerous reasons, not least because Saudi women are treated “like queens”, unlike western women who are allowed to drive, and therefore don’t have any concerns about, or moral objections to being raped on the roadside, according to this guy. 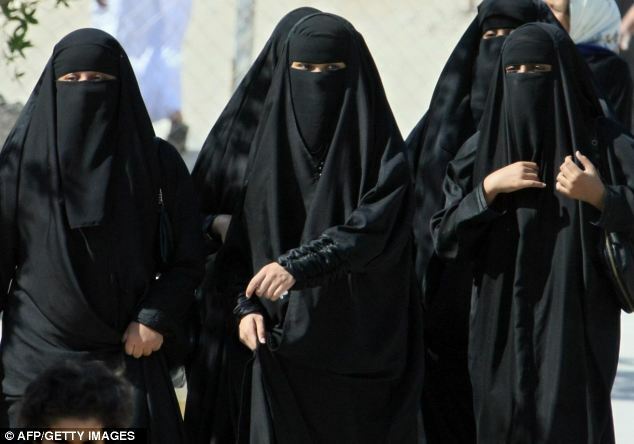 Not everything is easy for Saudi women however, who face serious challenges such as finding suitably unattractive domestic help, arguably due to the rapey nature of their husbands. These women are treated like queens (obviously), but still they face challenges, like having to keep control of their disobedient slaves maids. 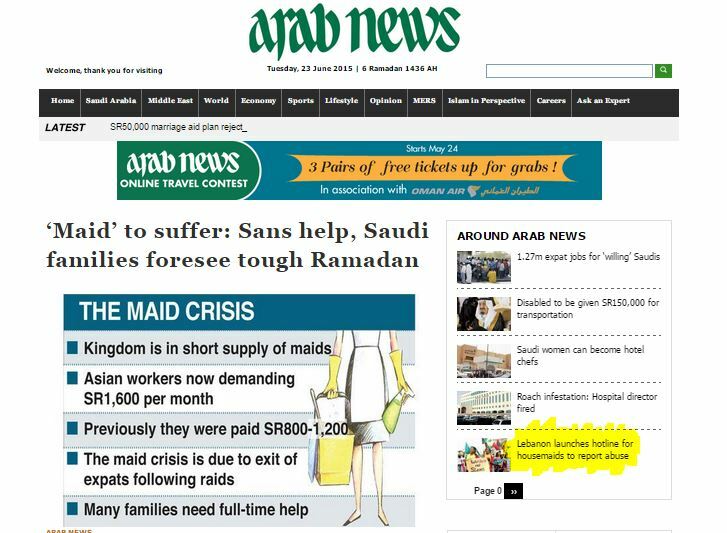 The Arab News, out of Riyadh, recently reported on an annual and worsening crisis in the Kingdom, as the holy month of Ramadan commences amid a national shortage of maids. This shortfall in domestic service workers has reportedly prompted a flourishing black market, in which many maids, especially the highly desirable ugly ones of course, run away from their benevolent madams and masters, seeking riches by working illegally during the holy month. There is a lot to do during the month of feasting fasting, and demand for maids is high. There have been a number of reports lambasting these horrible, ungrateful domestic workers, many of whom demand double their usual salaries during Ramadan. Put in perspective (considering many maids work 16 hours or more each day, with one day off per month, if that), these unscrupulous foreign women are demanding almost one American dollar per hour, rather than the forty-odd cents they deserve. Consider the plight of Ameena, a nurse, who has a family of four and badly needs a maid… for some reason. ‘“During Ramadan, one tends to pray and socialize more than other months. It is almost impossible for a housewife to spend the day cleaning, cooking, praying, reading the Holy Qur’an after breaking fast, socializing and then watching some television programs. It’s kind of mission impossible,” she said’ (apparently without a trace of irony). Then there is Sumaiha, a teacher (yes, in Saudi Arabia teachers and nurses all have full time live-in maids), who explained to Arab News that it was tough to retain staff, as her Ethiopian maid threatened to commit suicide after two months, and another left after four months saying that the family home was simply too big to clean. During this most holy month of Ramadan we should all spare a thought for Sumaiha, Ameena and other Saudi women who must attempt to complete their spiritual journey this Ramadan, with the added pressures of socialising, eating too much and watching TV, and all without the assistance of their incompetent and/or suicidal domestic workers. There are presumably reasons why people threaten to, or actually do commit suicide, though these are clearly of no concern to Arab News, or the unfortunate Sumaiha, who apparently has to deal with the nuisance of suicidal and/or escapee servants on an annoyingly frequent basis. There is indeed always someone worse off than ourselves. I’m sure glad I don’t have any of these problems with my maid. Previous articleWhy do the Chinese hire Strippers to Perform at Funerals? …Because they Can. 3 Comments on "Saudi Arabia Facing Ramadan Crisis"
Maids or Domestic helpers came from the different parts of the world to work and trying to support their families wih their income but some were unlucky met people who does’nt know how to embrace the poor. It’s always funny (and a little startling) when people read a piece of satire and fail to see the satire. At all. Like, for instance, in the examples posted here in the comments section.